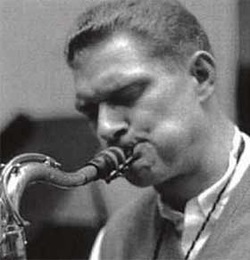 John Haley "Zoot" Sims, who died at the age of 60 in 1985, earned a place in the pantheon of jazz saxophonists with his hard-swinging approach to the music, his inventive improvisations, and his wonderful sound. He was also known to have one of the sharpest wits in the world of jazz. Let's also note that Zoot was known to be a prodigious boozer, a detail that's important to both of these anecdotes about the jazz legend. The first is about a night at the Half Note, the great, erstwhile club in New York's Greenwich Village, where Zoot performed often. On this particular night, a man at a table listened, enraptured, all evening, as Zoot played in his signature zestful, swinging style, never flagging for an instant. The customer also observed that Zoot was drinking continually, and with an equal enthusiasm—double Dewars, straight up, reportedly his spirit of choice. "I've been here all night," the guy told Zoot when the band wrapped up, "and I've seen how much you've had to drink. But you played amazing all night! How do you do it, man?" The other is about a time when Zoot and a pal were walking down the street and were approached by a wino, who asked for some money. The two stopped, and Zoot pulled out his wallet. Handing a couple of bucks to the guy, he suddenly pulled back, saying, "Wait a minute! How do I know you're not going to spend this on food or something?"